[User Submitted] It may be the spirit of the original owner, John McConaughy, who haunts this building today. John was the first person in San Diego to run a scheduled transportation service. His stagecoaches ran from San Diego to Julian, California. 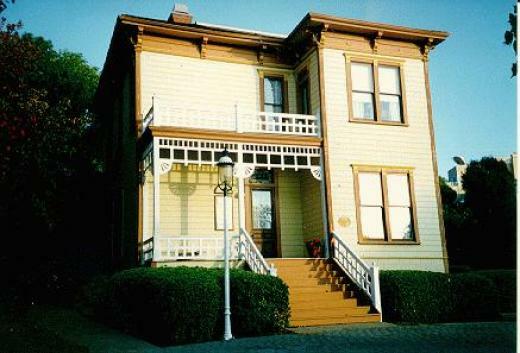 His Victorian house was built in the “Stick Eastlake” style and was restored as part of Heritage Park in the 1960′s. Today a group of lawyers works in the McConaughy House, and they have some ghostly company. Some of the lawyers have told tales of hearing footsteps in an upstairs hallway while they were working downstairs; when they go to check out the noise, the footsteps stop and nothing is there. Another common occurrence is the swishing sound of trees on the outside of the building. Not so strange, except there are no trees close close enough to hit the walls! Perhaps John McConaughy is just making these noises to remind his tenants that he is still around.